He provided a captivating presentation about the approach of their team to look at the entire experience for their customers – not just the buying experience. This means they no longer look at their sites as shopping centres, but rather than living centres – a place where you want to go, not have to go. Phil was very clear on their focus of the customers as the centre of their decisions, looking to for ways to ensure what he called the ‘experience economy’, which is driven by what the consumer wants, rather than just needs. He topic was Keeping bricks and mortar relevant in an online age and the main point Phil made around this was that the online has provided a challenge, but it just means that places like Westfield Kotara need to rise to that challenge, as opposed to being fearful of it. The cherry on top for our attendees was that they all received a double movie pass, courtesy of our event partner, Westfield Kotara! And now on to May – where we have not only one, but two events! First to the luncheon – we are partnering with Wine Selectors, a local success story. 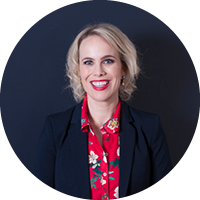 Speaking on the topic of Responding to shifting customer expectations of choice, will be Lois Donaldson – the General Manager responsible for Marketing, Product and Business Development at Wine Selectors. This is a story of how a 40-year-old Newcastle business has re-invented itself into a customer-centric organisation appealing to today’s most valuable wine enthusiasts right across Australia. It’s a story that highlights the importance of strategy before tactics and purpose before price. And our bonus for this event is that during lunch you’ll also have the opportunity to taste some great Hunter wine and learn about varieties that are also achieving strong growth through re-invention becoming more relevant to today’s wine drinkers. Make sure you buy your ticket now, so you don’t miss out! And now to the second event, our 85th gala dinner. As you would all be aware, 2018 is the 85th anniversary of Newcastle Business Club. Established in 1933, Newcastle was in depression when five men came together to create the Newcastle Business Men’s Club. It was a time of great doubt, but also a time of great anticipation. Newcastle business people were motivated, they were enterprising and they were challenged to provide opportunities for employment and business growth. Themes that stay true today! In 1933 the population of the Hunter region was around 104,000 – whereas now the Lower Hunter stands at over 540,000. It is incredible to think that throughout all the changes that have occurred in the last eight and half decades that this organisation has managed to not just survive, but thrive. And I think a lot of that has to do with the willingness of the Club committee and its members to stay true to its traditions, but also embrace change where appropriate. Obviously a major change was the name from Newcastle Business Men’s Club to Newcastle Business Club – which was so much more than a rename, but a completely different and more inclusive approach. So on Friday, 18 May 2018 we will gather at Newcastle Club (which also has strong links to Newcastle Business Club), to celebrate 85 years of tradition and change of Newcastle Business Club. I would love to have you join us – more details can be found here.